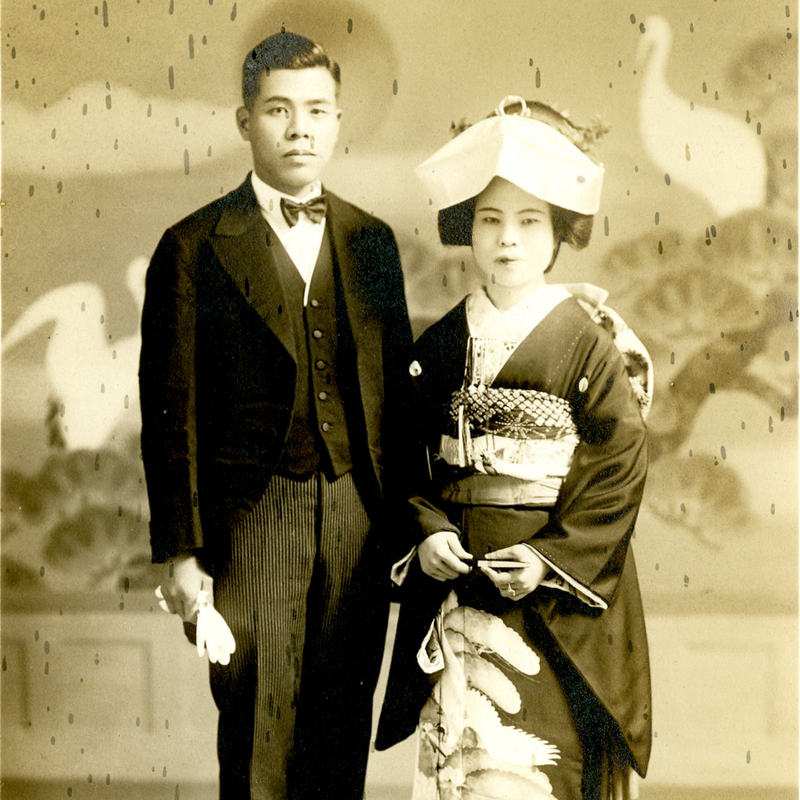 From the Miyagawa Family Photograph Collection, JASC Legacy Center. The Legacy Center Archives, formally established in 1999, is part of the cultural arm of JASC. It houses over 300 unique collections. The archives documents all facets of Japanese American life from 1890, through the period of World War II internment, and on to the present day. Materials include correspondence and photographs about business life in the 1940s and ’50s; diaries and journals; sketch books and drawings of life in the internment camps; artifacts made in the camps; rare published materials such as camp newspapers and high school yearbooks; information pamphlets targeting Japanese Americans; and vital records such as alien registration cards and U.S. Army service records. The JASC Archives is arguably the most significant collection of Japanese American history, arts and cultural materials in the Midwest, and the only significant collection documenting life outside the West Coast population centers. The Legacy Center Archives project is supported in part by a Japanese American Confinement Sites Grant administered by the National Park Service, Department of the Interior, with additional support from the Gaylord and Dorothy Donnelley Foundation and The Richard H. Driehaus Foundation and the MacArthur Fund for Arts and Culture at The Richard H. Driehaus Foundation. The Legacy Center offers reference and research, referral, reproduction, and lending services. For additional information, contact the Legacy Center via email or call 773-275-0097 ext. 222. The Archivist is available to assist you with your information needs. We can provide detailed reference sources and can help you devise and effective research strategy for your particular project using the Legacy Center’s research tools including search engines, databases and computer resources. The Archivist will direct you to the most appropriate sources of information within the Legacy Center collection to suit your particular needs. If you need additional information on a particular subject, the Archivist can direct you to research resources at other repositories locally or nationally and to internet resources appropriate to your topic. For speakers or interviewees, the Archivist can make referrals to local Japanese American community members who are willing to speak about their experiences. Legacy Center resources may be photocopied or reproduced unless prohibited by general use restrictions such as fragility, rarity or size, specific collection or record group restrictions, or Federal copyright law. In compliance with Federal copyright law, the Legacy Center will make only one reproduction of each item. Legacy Center staff members provide all reproduction services. Researchers may not reproduce Legacy Center resources themselves. Reproduction orders may take from two to ten business days to complete and require a signed copyright disclosure statement. Additional charges may apply. Reproduction orders may be mailed to you at cost. The Legacy Center will lend selected material such as library books, videotapes, educational CD-ROMs, and Kamishibai (Japanese folktale) storytelling kits for one week to one month, depending on the item. Anyone may borrow circulating material, following the completion of a Legacy Center registration form.